For educators interested in teaching online, the question of where to begin is always at the forefront. There are so many resources available and knowing what the first step is can seem impossible. This is the third in a 3-part blog series from Laura Howard, sharing her knowledge and experiences in teaching online from where to start, to making over existing assignments and establishing your own process. The first post focused on 'Where to Start' and the benefits on teaching online as well as resources you may have available at your institution. The second post focused on making over existing content, previously used for face-to-face (F2F) instruction, for online use. 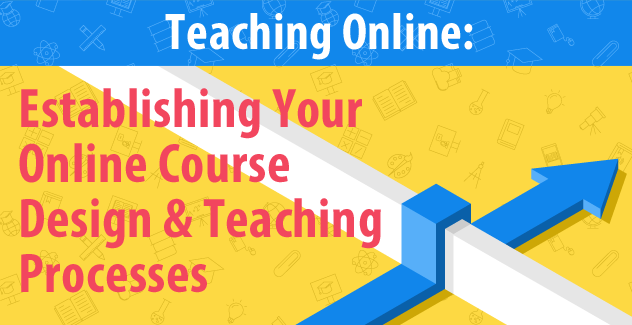 In this third post, Laura dives into some of the challenges that come with online teaching and offers tips for overcoming them. If you are new to online teaching, you will soon discover you need a standard approach to design and teaching that work for you. Each time you develop or teach a new course, you will rely on this set process to create content and engage students as effectively as possible. One of the challenges of online teaching is time management: design, outreach, grading, and teaching compete for your attention. Fortunately, content authoring tools like SoftChalk can streamline these processes and make visible the tasks we need to complete, while storing content and making it easy to embed in any course. When I have a new course to design, I begin by creating a timeline and giving myself deadlines for completing each aspect of the project. Because I take a “backward” design approach (see my previous post on this topic), my next step is brainstorming course objectives. Next, I create a document listing all objectives by module or course week and which course topics or themes they support. With this list in place, I brainstorm major assignments and activities, listing them all before looking at my calendar and deciding where they fit best. Once a rough schedule is in place, I draft weekly overviews for each module. Next is composing weekly discussion prompts, as each week of my writing-intensive courses contains at least one discussion forum. I then compose drafts of my assignment and activity instructions. With these steps are complete, I begin copying-and-pasting content into my course shells. Once the basic structure (overview, objectives, discussion, activities, and assignments) and schedule is in place, iI begin link to any OER our class will use to support our learning. An important step here is keeping track of privacy policies and copyright information for OER I include in the “Start Here” area of my course. Finally, I add in attendance, peer review opportunities, and optional Q and A threads. Once the course structure is in place and fleshed out, I begin recording lectures or composing notes I plan to use in the course. Captioning and ADA considerations should take place at this point to insure the accessibility of the course. Once lectures, notes, and captions are complete and embedded in the course, it’s time to revise, check for alignment, and make edits. Finally, the course is ready for institutional or departmental review. Ideally, plan to do this work over the course of an entire semester. If you don’t have a semester to complete design, you will need to double the time you spend on design to complete the process in six weeks, or triple your design time for a course needed even sooner. Do not underestimate the time design takes: recording multiple lectures in the early morning hours the day of your deadline is no fun and excessively stressful. The teaching process is also something to consider. When I was teaching primarily face-to-face, my day was divided into time spent teaching and preparing to teach; time spent advising and meeting students; time spent attending meetings; and time spent grading. Online teaching is different because it is often asynchronous and the work is self-paced. You might have department meetings at set times, but everything else varies. For example, I conduct office hours on the phone throughout the day when students are available. I set deadlines for myself to make minor revisions to and open weekly modules. I have had success setting a time for each of my online classes to “meet.” For example, I will give myself a Tuesday/Thursday teaching schedule and meet classes from 11:00-12:15; 12:30-1:45; and 2:00 to 3:15. During these times, I respond to discussion posts and emails and conduct student outreach. I also spend time brainstorming ways to make each assignment or activity better the following semester based on student performance and engagement. On Mondays, Wednesdays, and Fridays, I set aside time to grade. I cannot grade 26 essays in one setting; I am for a few each day. I do grade attendance, discussions, and activities in batches. Another approach is to dedicate a day or days of the week to each class, spending a set amount of time on all the teaching activities you need to complete. My self-imposed schedule isn’t perfect and often must be flexible to accommodate meetings and other departmental duties, but I believe it keeps me on track. Without a “plan of attack,” online instructors can find themselves drowning in work that needs grading and content that needs updating. I appreciate this experience as a way to connect with my students and offer time management strategies. The longer I teach online, the more I wish disciplines would teach graduate students workflow management processes to help prepare them for the demanding tempo of both f2f and online teaching in higher education. Since few programs teach such skills, we must learn this skill on the job. Please feel free to share your own online course design and teaching work processes in the comments area below! Laura Howard, PhD, is a Lecturer in English at Kennesaw State University, near Atlanta, Georgia. She has been teaching hybrid and online courses for more than a decade, and she currently serves as the online technology coordinator for her department, training and supporting English faculty teaching hybrid and online courses. Her areas of interest include composition pedagogy, online writing instruction, professional writing pedagogy, research methods, and social justice. 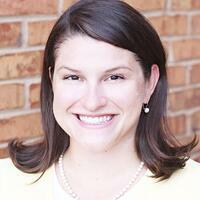 She can be reached at lhowar40@kennesaw.edu.